With 2016 marking 50 years since England won the World Cup in 1966, we will be focusing on some of the individuals who would forever be associated with the tournament – and not just England’s 11 players who beat West Germany in the final. We begin by recalling how fate would conspire against Jimmy Greaves, who infamously missed out on playing during England’s finest hour. “I was one of the few people who believed we would win it… and what I never ever thought was we would win it without me being in the side,” said Jimmy Greaves in the 1986 BBC documentary series Summer of ’66. It’s a sentiment he has often repeated over the years about the 1966 World Cup, making similar comments in the excellent Boys of ’66 programme broadcast on Sky Sports this month (he was interviewed prior to sadly suffering a severe stroke last year). Such views may seem rather arrogant to the uninitiated, but it wasn’t just Greaves (pictured below) who couldn’t envisage he wouldn’t be part of England’s success. The charismatic 26-year-old Tottenham Hotspur striker was one of the best-known footballers in the country, among the most established players in the England side and a prolific goalscorer – one of the best finishers the nation has produced. England achieving success in the World Cup wasn’t a guarantee, but Greaves leading the attack for them surely was. If it was goals you wanted, Greaves was seemingly the best bet to get them. The first hint that the 1966 World Cup may not go smoothly for Greaves came during the previous season, when he was struck down with hepatitis and ruled out for about three months. This inevitably set him back in his preparations for the finals and he wasn’t quite his usual potent self in the closing stages of the season as he fought to regain his full sharpness. But any fears seemed to be allayed when he scored four times for England against Norway shortly before the World Cup began. Having been a part of the side in the 1962 World Cup in Chile, Greaves now looked to help his nation win it on home soil under Alf Ramsey – a man who like Greaves hailed from Dagenham. Greaves duly took his place in the England side for the tournament opener against Uruguay, but it proved a frustrating evening for both player and country as the hosts were unable to break down the South Americans in a goalless draw. The next game yielded a 2-0 win over Mexico that is best remembered for a stunning goal by Bobby Charlton, but Greaves was again not on the scoresheet. That would be the case once more in the third and final group game as England beat France 2-0. But for Greaves another incident on the night would ultimately end his tournament involvement. 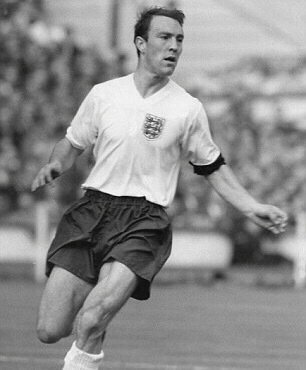 Jimmy Greaves in action for England. The injury ruled Greaves out of their next match against Argentina, as West Ham United’s Geoff Hurst came into the side. Hurst may not have been quite as prolific as Greaves, but he offered greater aerial prowess and the welcome capability to hold the ball up. Hurst’s qualities complemented those of the hard-running Hunt and he fitted into Ramsey’s system, while he also had a good understanding with West Ham United colleagues Bobby Moore and Martin Peters. 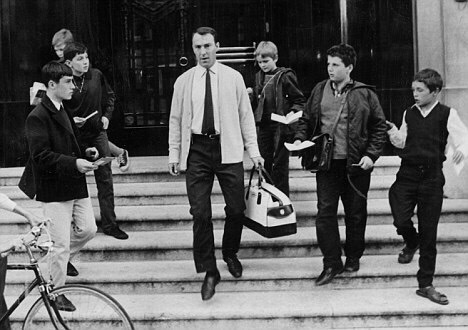 Jimmy Greaves was an idol to many schoolboys – but that was not enough to earn him a place in the World Cup final side. In much the same way that England seemed to come into form after losing captain Bryan Robson through injury at the World Cups of 1986 and 1990, the absence of Greaves was not negatively felt by Ramsey’s men in 1966. Hurst headed in the winner against Argentina, sending them through to a semi-final against Portugal. Bobby Charlton scored both goals in a 2-1 win, but Hunt and Hurst each contributed in the build-up to a goal. Now England were through to the final and Greaves was fit and ready to play. But would Ramsey consider changing things to accommodate him? There was still public support for Greaves to get his chance. In The Times on the morning of the final, ‘Football Correspondent’ (Geoffrey Green) wrote: “It is the snatching of that half-chance which Mr Ramsey will have in mind if he decides to recall Greaves, now fit again, when he announces his team this morning. He is keeping Germany guessing until then. Although Greaves failed to score in his three earlier games in Group A it would be typical of him to impishly squeeze a winner now.” In the Daily Mirror, Ken Jones speculated that Ramsey may opt to field Greaves, Hunt and Hurst together in a change of formation. “The disappointment of missing this final of finals may be facing another player,” he pondered. Despite having scored three goals along the way, Hunt did not feel assured of his place in the final. It was only when the team went to the cinema on the night before the final and Ramsey whispered to him that he would be playing that he knew he was in. Hurst also feared losing out, but he too was told by Ramsey he would play. England had fielded a winning XI in the previous two matches that he did not wish to interfere with. Greaves was left to figure out the inevitable, subsequently revealing he sensed all hope was realistically gone when he asked England assistant boss Harold Shepherdson if he might play. He could tell by Shepherdson’s uncomfortable reaction that he wasn’t in. Confirmation was provided by Ramsey on the morning of the final. 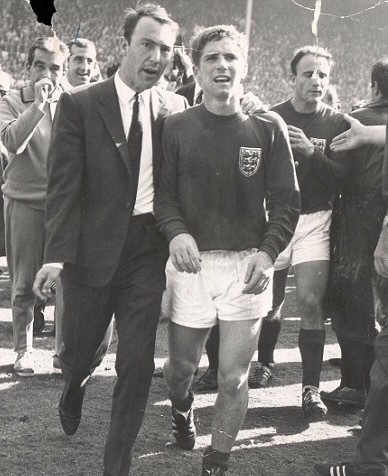 jImmy Greaves offers his congratulations to Alan Ball after the World Cup triumph. Greaves was particularly unlucky with the timing, as this was the last World Cup before substitutes could be brought on. Given how the game panned out, the odds are he would have come on at some point and then he could forever say he had played in a World Cup final. Today even the third choice goalkeeper sits on the bench at a major tournament with a chance – albeit extremely slim – of being called upon. But as the final began Greaves was left knowing that his only vague hope of still playing a part would be if it went to a replay and Ramsey opted to put him in the side ahead of Hunt or Hurst. It was pretty unlikely to happen. The other big difference from today was only the 11 players to appear in the final received their medal at the end. Within a few years the rules were changed so every squad member received one and in 1990 England’s squad were all presented with medals for finishing fourth. Greaves and his colleagues eventually received their 1966 medals retrospectively in 2009, some 43 years after their triumph. He subsequently sold it in 2014. 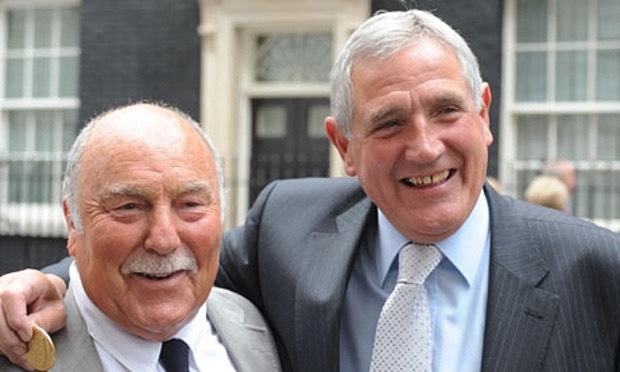 Jimmy Greaves and Norman Hunter finally receive their World Cup medals in 2009. Greaves was at pains in his autobiography to stress his World Cup disappointment did not trigger his well-publicised descent into alcoholism. To his great credit he shrugged off the pain of missing the final by scoring regularly in the opening stages of the following season for Spurs, including a run where he netted in seven successive league games. He helped them win the FA Cup in 1967 and worked his way back into the England side to win three more caps. But he grew frustrated at often being a non-playing squad member and eventually asked Ramsey if he could only be called up if he was going to play. The request effectively spelt his international retirement after 57 caps and 44 goals. 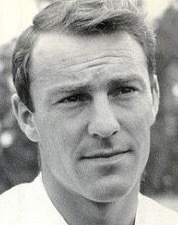 Greaves would become as well-known to younger generations as a television personality as for his football career, but he would forever be remembered for missing the final in 1966 and watching on as his replacement Hurst scored a hat-trick. The failure of England to progress so far since then means 1966 remains the most talked-about event in the nation’s football history and leaves Greaves as the man who came closest to playing for the country in a World Cup final without actually doing so. Although it may be heartbreaking for a player to miss out on playing in an FA Cup final, to use an old adage there’s always next year to stand another chance. But with the World Cup final, a player faces a four-year wait – a long time in football terms and it is hard for the team to go all the way again. One only had to see Paul Gascoigne’s tears when he picked up his second yellow of the tournament in the Italia ’90 semi-final – ruling him out of the final if England got there – to be reminded what a big deal it is to get to play in the World Cup final. Poor Greaves would always be reminded of that and how he came so tantalisingly close to doing so.